Over the years, TV chefs and celebrities have helped shape the country’s food trends and, with the boom of social media, the impact it has had on British agriculture is overwhelmingly positive. Emily Ashworth reports. None of us are strangers to our culture’s obsession with photographing our meals. Look on Twitter, Instagram or Facebook, and you will find yourself inundated with images of anything from smoothie bowls to Michelin-starred plates of food, all credited with certain hashtags to ensure followers can find the content. Showcasing what we eat is almost second nature to many of us now. But why did it suddenly become ‘cool’ to post pictures of our cooking? Maybe it is the formidable number of food bloggers out there today, or the increasing number of TV programmes focused on food and its provenance? What is for certain is it is an ever-growing phenomenon, and one which allows British farmers to bask in some much welcomed limelight. In such a digital-oriented world, business opportunities are endless and it can take just one retweet for your content to go socially viral. This communal online environment can connect you to those you never thought it possible to contact, attract new customers or grab the attention of some well-known characters. Farmers and media moguls alike are using these platforms to voice their opinions, and the opinion of the moment is we should be eating better, cutting down on sugar and filling up on good British grown produce. The interest in cooking shows never seems to dwindle and the intrigue people have for how their food is produced, and where, is increasingly evident. Shows such as Great British Menu, where top chefs promote the best of British produce, totted up almost two million viewers for one episode, with one chef, Tommy Banks, really homing in on the farm-to-plate connection. Since appearing on the hit BBC show, he has drummed up 22,000 followers and, in the last series, he used lamb from his father’s farm to create a show-stopping creation. The show alone has more than 30,000 Twitter followers, proving the UK is indeed interested in its country’s produce and producers. There are some familiar faces continually championing the industry too, with Jimmy Doherty and Jamie Oliver frequently working together and often using social media to celebrate farmers and producers behind the ingredients. Combined, they have more than 7m social media followers and an epic amount of influential power. Traditional cooks such as Mary Berry are also simplifying their recipes to encourage more home cooking and the idea that a few good ingredients can go a long way. Her new show, Britain’s Best Home Cook, supports this. Similarly, well-known organisations make use of digital platforms, such as Love British Food, which is dedicated to promoting the hard work of British farmers and British produce, and has racked up a substantial following of more than 30,000 on Twitter. Organisations are supported by their ambassadors, who are some of the biggest names in the business: Raymond Blanc; Liz Earle; and The Great British Bake Off star Candice Brown. Each has their own cult following, with Raymond Blanc teetering on the edge of 500,000. With such dominant household names sparking conversations around the benefits of cooking with British ingredients and where to find them, it is easy to see why people are buying in to the whole process. And the key point is, it is not a gimmick. They are speaking to real farmers who play a part in the everyday lives of the public and it creates a vital connection. Over the past couple of years, there has been a surge of new colourful chefs who have harnessed and understood the power of social media and used it to achieve notoriety. Most of these celebrate the benefits quality sourced meat and vegetables can have on our health. 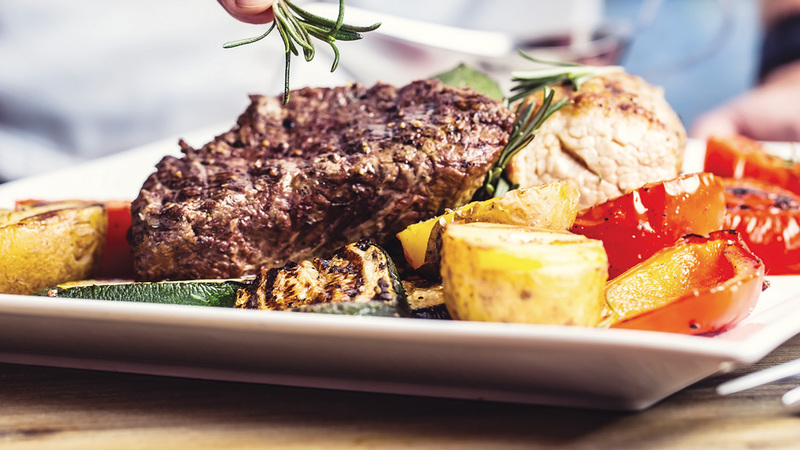 Joe Wicks, also known as The Body Coach, somewhat silenced those who were destroying the image of meat and fats, and quickly gained a following for having a more realistic approach to food. His fresh outlook on protein caught on and, with numerous best-selling cookbooks under his belt, he has gathered more than 300,000 followers on Twitter and more than 2m on Instagram. There is no doubt Joe was an initial instigator in the public’s rising interest in healthy eating, allowing them to indulge in anything from chicken burgers to steak to stuffed sweet potato. Another key duo on the foodie scene are Jasmine and Melissa Hemsley, otherwise known as Hemsley and Hemsley, who, as they say, have a passion for ‘living well and enjoying delicious, nutrient-dense food’. They have taken the old-school saying of ‘meat and two veg’ and brought it right to the heart of this 21st century eating movement. With more than 70,000 Twitter followers, they have essentially played an extraordinarily huge part in the uptake of sales in fresh meat and vegetables, making it seem possible foreverybody to live better and use quality produce. British food comes with a story and, through TV, social media and backing from famous faces, people are enjoying the advantages of learning about, and consuming, the nation’s food. Rather than just being a trend, it is slowly becoming more of a lifestyle option which will only continue to benefit our farmers. AUGUST 9, 2018 is the agricultural industry’s chance to use its collective power to demonstrate the hard work which goes into producing the food we eat. Farmers Guardian has once again teamed up with Morrisons to host the industry’s biggest online event. 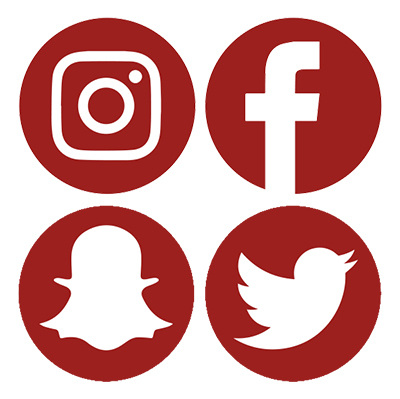 For 24 hours, we are asking anyone within the farming industry to use their social media accounts to share posts, pictures and videos about the work they are doing throughout the course of the day. The idea is to flood social media with farming activity to champion the industry and the food produced. Anyone can take part on any social media platform, simply by using the hashtag #Farm24. All material published on FGInsight.com and FarmersGuardian.com is copyrighted © 2018 by AgriBriefing Limited. All rights reserved.